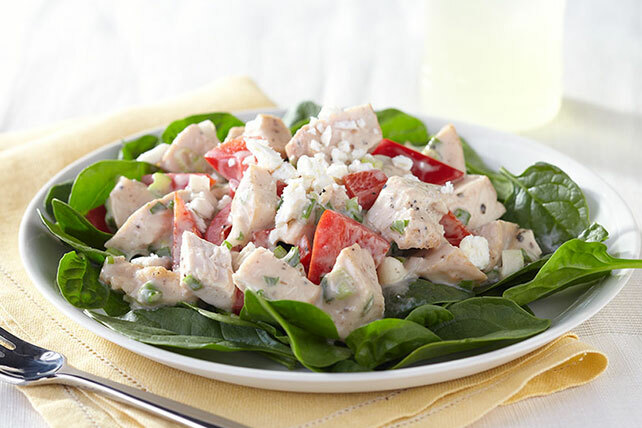 Balsamic vinaigrette lends its distinctive flavor to this easy-to-make, but completely delicious, chicken salad. Mix miracle whip and dressing until blended. Combine chicken, peppers and onions in large bowl. Add dressing mixture; mix lightly. Spoon onto spinach-covered plate; top with cheese.